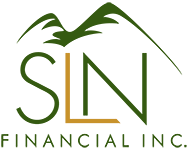 August 2, 2017 - Tips for Not Running Out of Money in Retirement | SLN Financial, Inc. Most of your adult life, you’ve probably focused on building a retirement savings that will cover your living costs. But once you officially retire, your financial planning shouldn’t stop. Managing your expenses to support your lifestyle is an ongoing requirement need—and a top worry for many baby boomers. In fact, 36% of boomers nearing retirement say that having enough money to cover basic needs is their biggest financial concern. Whether you’re nearing retirement or already retired, you can take steps today to help you ensure you don’t run out of money tomorrow. Here are some financial tips to consider. If you’ve not yet created your budget, do this today. Your financial needs shift in retirement, and sometimes you end up spending more than anticipated. In fact, during the first 2 years of retirement, retirees tend to spend 46% more money than before they retired. And by their 6th year, 33% of them continue with higher living expenses than their pre-retirement costs. As such, to maintain a healthy financial standing, you’ll want to make sure you have financial strategies that enable you to control your expenses. Budgeting will help you compare income and expenses, and see the true amount you need to live on. As you build your budget, being realistic about items you truly need versus those you do not is essential. Retirees have standard costs that they must pay, such as food and clothes. But, non-essential costs could cause you to overspend. Cutting monthly spending like cable TV subscriptions or a cleaning service could help you live within your means. While you may be accustomed to paying for extra perks, your habits shouldn’t trump the reality of what you can afford. Assess what spending you truly need versus what you can live without—and cut out superfluous costs. Are you in the habit of buying a new car every few years? Do you have car loan payments for a car you rarely drive? Consider looking at your automobile expense to ensure they aren’t dwindling your budget. The average retiree pays $571 each month ($6,852 annually) for their transportation, and automobile insurance fees tend to rise after people turn 70 years old. Those costs could eat up a significant portion of your monthly budget. If you live within walking distance to places like your grocery store, maybe you can eliminate relying on a car altogether. The point is to see what transportation costs are realistic within your budget and lifestyle, and make decisions from that perspective. Ultimately, retirees must account for a variety of expenses to ensure they don’t run out of money. And each person’s unique financial profile and living needs will drive what strategies work best. If you’d like to look at your retirement budget and assess what expenses you can better manage, we’re always happy to help. Contact us today.